The warm weather may finally be here but some things never change. 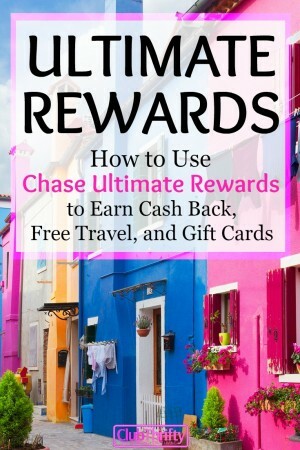 As of 2019, the Chase Ultimate Rewards program still reigns supreme. Even though started playing the rewards game several years ago, this is still the program we tend to focus on. Let me be blunt: As an enormous credit card rewards enthusiast, I believe Chase Ultimate Rewards is the best rewards program there is. Period. Offering point transfers to over a dozen travel partners is impressive on its own. However, Chase rewards are some of the most flexible points and miles you’ll find. Additionally, the core of the program hasn’t been devalued in years. When you put it all together, the Ultimate Rewards program from Chase is far superior to other award-winning rewards programs like Citi ThankYou and American Express Membership Rewards. Since I’ve been crushing on the program for a long time, I decided to create this complete guide to using Chase Ultimate Rewards. Through examples and personal experiences, I’ll show you how to earn Chase points, explain how to redeem your points for the most value, and describe which pitfalls to avoid. I’ll also clue you in on some of my favorite ways that I’ve used my own stash of points. Transferring points to Southwest is always a win. I am obsessed with using Chase points for excursions. Hyatt transfers are the bomb. Before we dig into the details of the Chase Ultimate Rewards program, let’s explore which cards actually help you earn this valuable travel currency. If you choose to redeem your points for cash value, you’ll receive a value of one cent per point. As an example, the signup bonus on the Chase Sapphire Preferred card, which now sits at 60,000 points after you spend $4,000 on your card within 90 days, is worth $600 in cash. When you redeem your points this way, you can book any type of travel you want (or use your cash back for anything else). While this isn’t the best option offered, it’s nice to know you can redeem your points for cash if you really want to. Personally, I find that kind of flexibility important. Also, you never know what could happen in your life. A lot of people think they’ll have time to travel but wind up not being able to go anywhere due to work or health problems. Since this card gives you the option to redeem points for cash back, you’ll never get stuck with points you can’t use. If you’re going to book travel, using your points to book travel through the Chase Ultimate Rewards portal is usually an excellent option. When you use points from the Chase Sapphire Preferred card to book travel through the Chase Ultimate Rewards portal, your points go 25% further. That’s why you commonly hear how 60,000 points is worth $750 in travel through the Chase portal. When you use the Reserve version of the card, however, your points stretch 50 percent further. Best of all, booking through the portal allows you to book almost any type of travel experience, a flight with any airline, and hotel stays with any participating hotel. 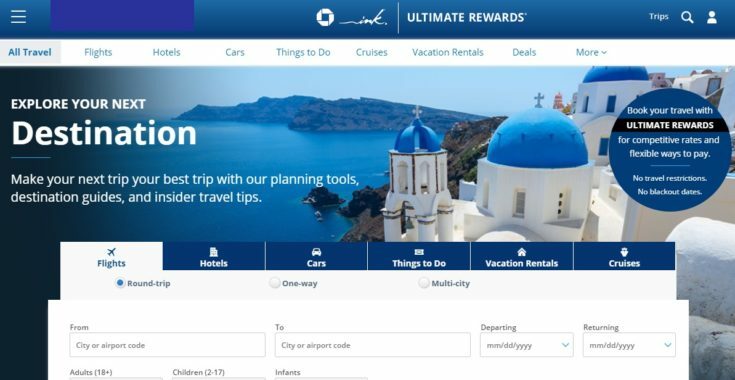 In a lot of ways, booking travel through the Chase Ultimate Rewards portal is a lot like using Expedia. In fact, the Chase travel portal is actually powered through Expedia. The only difference is, your points allow you to book travel for free. Personally, I’ve had a ton of luck booking travel through the Chase portal. I love booking hotels there, and have even booked some condo-type hotels in Europe through the portal entirely on points. I am also huge on booking excursions, and I occasionally book a flight through the portal if the price is right. Sometimes the portal is more expensive, but there are great deals to be had there, too. It’s always worth checking to see how prices compare so you can find the best deal. 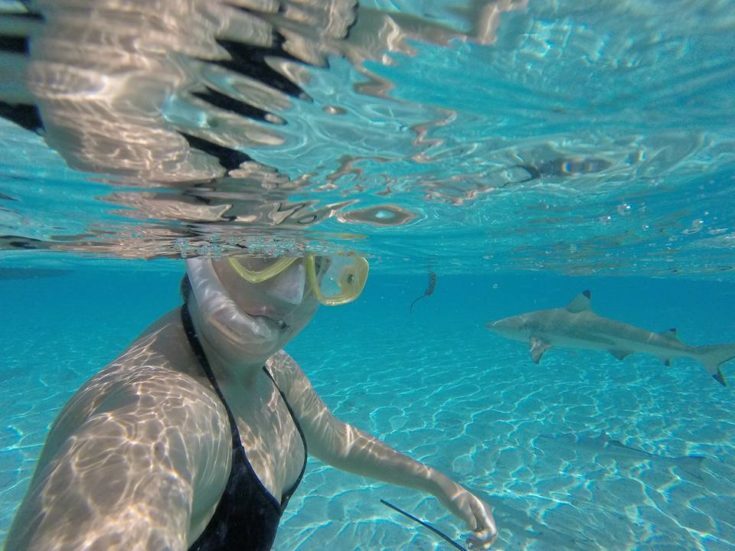 Don’t believe me about swimming with sharks? Check this out! Yep, that happened. But really, those are just a few of cool adventures I’ve booked with Chase Ultimate Rewards. Over the years, I have probably booked 30-40 day trips and tours all over the world – that’s in addition to flights, hotels, and more. If you travel frequently, you already know how valuable the points offered by many of the top loyalty programs can be. And in my opinion, this is where Chase Ultimate Rewards really shines. The fact that Chase partners with so many popular airlines and hotel chains makes transferring points an extremely popular option. And, since points transfer to all partners at a 1:1 ratio makes these transfers especially lucrative. You may notice that Chase added a few new transfer partners over the last year – Aer Lingus, Iberia, and JetBlue. They also removed Korean Air. It’s also important to note that Marriott and Ritz-Carlton are essentially undRegardless, any of the current Chase transfer partners should be good for specific destinations, though whether or not you should use them depends on where you’re traveling and when. We’ll dive into how these options work later, but I also want to be clear that transferring Chase points to loyalty partners can be extremely lucrative. My favorite partners are IHG, Southwest Airlines, Air France (Flying Blue), and Hyatt, although I have used almost all of these loyalty programs at one point or another. While there is no “right way” to pursue or redeem credit card rewards, some options are certainly a lot more lucrative than others. To highlight some of those options, I’ve included a short list of example scenarios below. 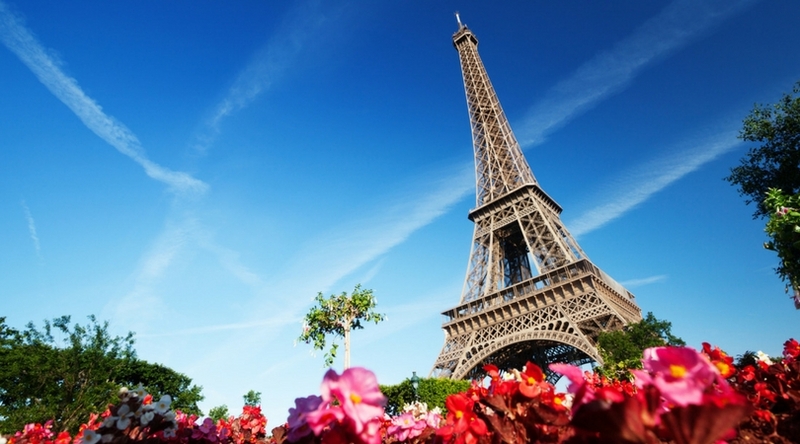 All of these travel experiences can be booked through Chase Ultimate Rewards! If you live near a Southwest hub, Southwest Airlines will almost always offer the best deal you can find on domestic travel and fares to the Caribbean. Because their rewards program is fare-based, you can shop around for deals and book your flight when the price is as low as it will go. Pro Tip: By signing up for a Southwest Visa, you can rack up points even faster! Right now, you can earn 40,000 bonus points just for signing up for either of the personal cards and spending $1,000 in the first three months! You can sometimes find round-trip flights for as little as 8,000 Rapid Rewards points each. Flights to the Caribbean can also be found for less than 12,500 points per leg, which makes this an awesome option for families who don’t have a lot of points to go around. With just two signup bonuses on the Chase Sapphire Preferred card (one for each spouse or partner), you can normally book up to four round-trip flights to tropical destinations like Aruba, Jamaica, Costa Rica, Belize, Nassau, Punta Cana, and Cancun. I have personally used Southwest Airlines to fly my entire family to Jamaica for spring break twice, and travel to places like Denver, Los Angeles, Raleigh, Cancun, Puerto Rico, and New York City. And if you have the Southwest Companion Pass, your points can go even further. Hyatt is one of my favorite redemption options since their program is fairly valuable and your points go pretty far. Even a top-tier property like the Park Hyatt Vendome in Paris costs just 30,000 points per night, and you can even book their all-inclusive resorts for 25,000 – 25,000 Hyatt points per night. Pretty sweet. Even after the recent British Airways devaluation, transferring points to this airline for short-haul flights is an epic deal. Most short-haul flights in the U.S. will only cost 7,500 points per leg. If you fly a lot of domestic routes and have some flexibility in terms of the dates and times you fly, these points can really help you go far. 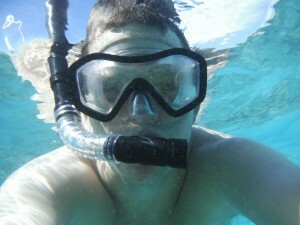 We’ve even used British Airways miles to fly to Grand Cayman a few years back! Depending on where you want to go and when, you should find plenty of options available. While you don’t often hear about people booking activities through the Chase Ultimate Rewards portal, I personally find awesome savings there – regardless of whether I’m paying in points or cash. If you plan on taking part in a snorkeling excursion, going zip-lining, or booking a guided tour of a museum or attraction, you can often find stellar deals through the Chase Ultimate Rewards portal. Better yet, your points go 25% – 50% further if you use them to book your event depending on the Chase card you have. Recently, I booked some trips out of Croatia for 4,000 – 10,000 points each. We are taking one trip to Bosnia and Herzegovina, and another to Montenegro and the Bay of Kotor. These trips were fantastic. Best of all, they were 100% free. Getting 25% more value in travel through the Chase Ultimate Rewards portal can be rather “meh” at times, but absolutely lucrative in other instances. It really depends on where you’re going, what your dates are, and how rates stack up to rates offered on other sites. 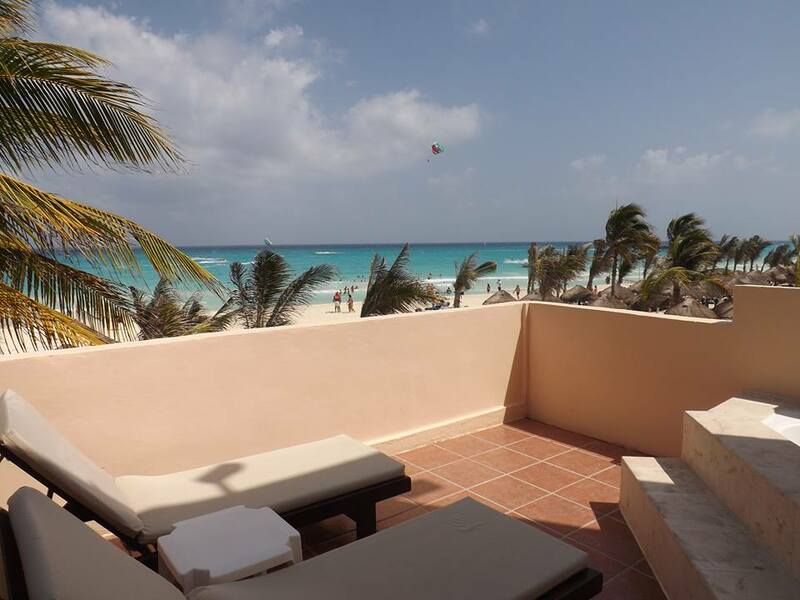 With that being said, I have noticed plenty of awesome all-inclusive resorts you can book for as little as 12,000 points per night for a family of four in places like Jamaica and the Mexico. And, when I was browsing hotels for a trip we were considering to Greece, I found all kinds of three star properties offered for as little as 6,000 points per night. When you find deals like this, your points can go a whole lot further. The last two years in a row, we have flown our entire family to Europe for most of the month of June. Both times, we did it by racking up points we could transfer to Flying Blue through programs like Chase Ultimate Rewards and American Express Membership Rewards. I love how lucrative the Flying Blue loyalty program is. Since round-trip economy flights to Europe can cost 50,000 miles per person (plus around $100 in taxes and fees) or less, we can fly to Europe on points pretty easily. Two years ago, we used Flying Blue miles to fly into Munich and home from Zurich. A few summers ago, we also flew into Venice and home from Naples with Flying Blue miles. It was awesome! Redeeming Chase Points for Low-Value Gift Cards – While you can generally get one cent per point when you redeem your Chase rewards for gift cards, that isn’t always the case. Sadly, a lot of low value gift cards in the $25 range require you to redeem more than one point for each cent of value you receive. (e.g. 30,000 points for a $25 gift card) Redeeming points for gift cards isn’t a stellar option to begin with, but redeeming them for low value gift cards can be even worse. If you want gift cards, go for any option that gives you at least one cent per point. Redeeming Chase Rewards for Merchandise – Redeeming points for merchandise is an exceptionally bad idea across all rewards programs, but that’s especially true when it comes to Chase Ultimate Rewards. Depending on the type of merchandise you pick up, you could get as little as .5 cents per point! If you want to use your Chase points for merchandise, the least you can do is redeem your points for cash back at a rate of one cent per point. Then, head to the store to buy the item yourself. Transferring Points to a Chase Partner Without Checking Prices – This is a bad scenario that I’ve seen time and time again. Someone transfers their points to a loyalty program without checking the actual cost of their flight or hotel first. This often happens with high-value hotels through Chase transfer partners. The Holiday Inn Resort in Montego Bay, for example, runs about 50,000 IHG points if you book it through IHG. However, rooms often go for as little as 15,000 points per night through the Chase Ultimate Rewards portal. If you transferred your points and booked this option through IHG when prices are this low, you would be wasting 35,000 points per night. Transferring Points to British Airways to Fly to Europe – Often, prices on British Airways flights to Europe are absolutely obscene. This is because they tack on huge taxes and fuel surcharges for many of their transatlantic itineraries. While a lot of people assume they’ll want to fly British Airways to London specifically, you are almost always better off utilizing a different airline loyalty program. Before transferring points to British Airways (or any other airline, for that matter), it helps to find out how many points you’ll need for the flight ahead of time. But, don’t forget to check on airline taxes and fees to ensure they’re fair and comparable to what other airlines are charging. 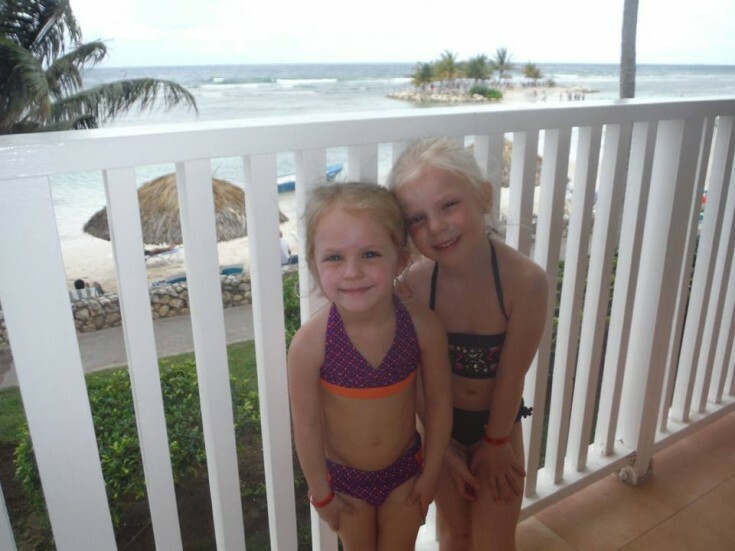 My kiddos at the Holiday Inn Resort in Jamaica! Over the years, my husband and I have had the Southwest Companion Pass multiple times. (Unfortunately, it’s a lot harder to get than it once was.) Some of our favorite Southwest trips include flying to Denver to see a concert, the time we flew to Mexico to spend a week with friends in Playa del Carmen, and – of course – all of the trips we have taken with our kids. Thanks to the flexibility of Southwest points, we have even used them to fly to Jamaica for spring break twice! The first time, we brought my parents along. The second time, however, we brought along my parents and my sister’s family! While a lot of travel bloggers make fun of excursions and guided tours, I absolutely love them! In fact, I always check the Chase portal for activities any time we travel somewhere new. 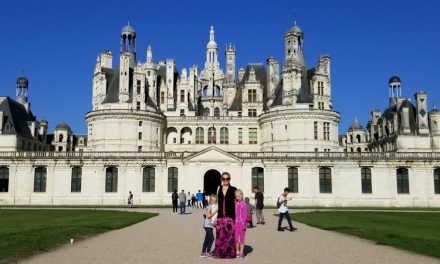 So far, my favorite activities booked through the Chase Ultimate Rewards portal include a) the time we booked a black Mercedes airport transfer in Rome, b) a three-stop snorkeling tour I booked in Cancun, and c) the time I booked a three-city guided tour all over the Tuscany region of Italy. These “extras” were a lot of time at the time, and they were items I normally wouldn’t want to pay for. Since I could use points to book them, it made the “splurge” seem a lot more sensible. While I haven’t stayed at any of Hyatt’s all-inclusive properties yet, I will certainly do so eventually. However, I get pretty excited about almost all of Hyatt’s properties and their rewards program in general. Why? Because it hasn’t been devalued like many of the other hotel programs....yet. 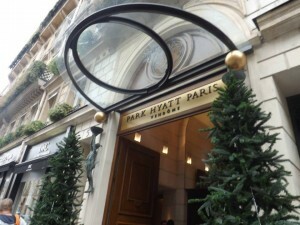 My favorite Hyatt redemption so far is when we stayed at the Park Hyatt Vendome in Paris. Rooms were over $900 per night when we stayed, but we didn’t pay a dime for the experience. It was awesome! 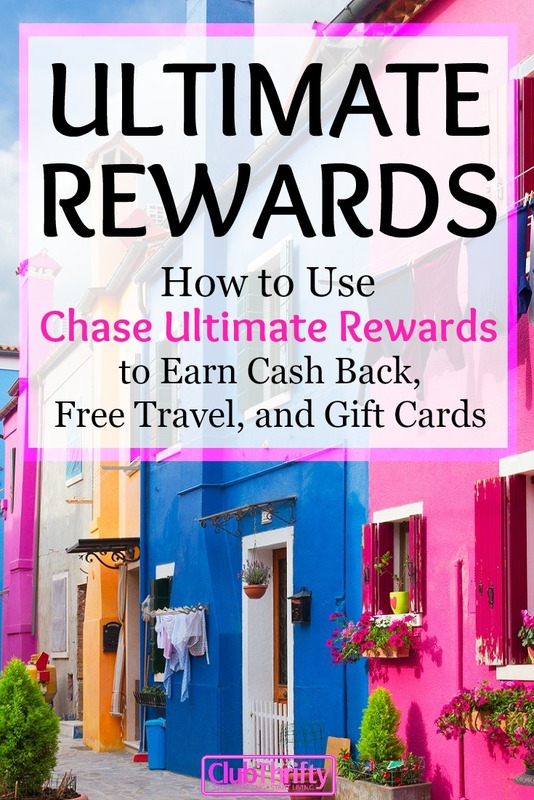 Now that you know all about Chase Ultimate Rewards and their many valuable uses, it’s time to explore the different ways you can rack up as many points as possible! Obviously, more points = more free travel! If you’re looking for a way to earn thousands of dollars in free travel, here are some top strategies to consider. 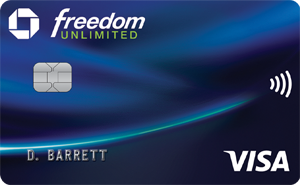 Apply for new credit cards and earn huge signup bonuses. – Obviously, the easiest way to rack up a ton of Chase points is by signing up for credit cards and earning their respective signup bonuses. By signing up for the Chase Sapphire Preferred, Ink Business Preferred Credit Card, and Chase Freedom over time, you can earn over 150,00 points through just the signup bonuses alone. Get your spouse to sign up for double the points. – If you play your cards right, both you and your spouse can sign up for the same Chase cards and earn the signup bonuses twice! If you want to go this route, however, you’ll want to make sure you don’t add each other as an authorized user. Why? Because some of the new rules from Chase make it harder to get a Chase card if your spouse has one and you are their authorized user already. Beware the Chase 5/24 rule. – A few years back, a new rule dubbed the “Chase 5/24 Rule” was created, making it harder to earn multiple signup bonuses. Recent developments have made earning a signup bonus on certain cards even harder. In summary, the rule states that you may not be approved for a new card if you have had five other new credit cards within the past two years. Additionally, you can not earn a bonus on any Chase Sapphire card within 48 months of earning a bonus on another Sapphire card. So, if you were hoping to bypass the 5/24 rule and get the two best Chase cards at once, you’re out of luck. Maximize spending on bonus categories. – Since the Chase Freedom offers 5x points on your first $1,500 spent in categories that rotate every quarter, you’ll want to pay special attention to those categories and maximize them as much as you can. Meanwhile, you’ll want to use your Chase Sapphire Preferred for travel and dining purchases since you earn 2x points. The Ink Business Preferred Credit Card, on the other hand, offers an amazing 3x points on your first $150,000 spent in categories like travel, online advertising, and cellular service. If you can maximize any of these bonus categories, you’ll earn a ton more points over time! Get the business card if you have business expenses. 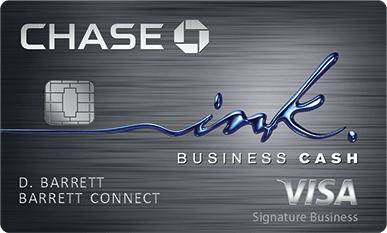 – If you have any kind of business, then signing up for the Ink Business Preferred Credit Card is an absolute no-brainer. Not only does it offer a huge signup bonus, but it makes it easy to earn a ton of points over time. Since we’re bloggers, we take advantage of the 3x points we earn on business travel and online advertising. However, I could see this card leading to huge earnings for almost any business owner. Here’s the best part: You can pool points from all your Chase accounts into a single account where you can get the most value. I typically pool all our points in our Chase Sapphire Reserve account so I can score 50 percent off travel or transfer them to loyalty partners 1:1. Utilize the Chase shopping portal. – Once you have any of these Chase cards in your wallet, use the Chase shopping portal any time you buy anything online. By logging into your Ultimate Rewards account and opting to “earn points by shopping through Chase,” you’ll be redirected to a page that shows the bonus points you can earn simply by clicking through to shop with certain retailers. If you plan to buy an item anyway – especially if it’s a big ticket item – you can often earn 4x extra points just by clicking through the Chase portal first. And remember, these “bonus points” are on top of the points you’ll earn by using your Chase card for the purchase! Using Chase Ultimate Rewards has allowed us to travel the world for pennies on the dollar. Their high-value redemptions, awesome transfer partners, and fantastic flexibility easily make them my favorite rewards points to earn and redeem. Start earning your points today by clicking through any of the links above. Thanks for reading and happy traveling! WOW! This is impressive even for someone who doesn’t use credit cards! 🙂 I am going to store this under “readthisifievergetacreditcard”!!! I’m a big fan of Chase Ultimate Rewards. Transferring to Hyatt is what I’ve mainly used it for. I’ve also used their travel portal once to rent a car and it was a much better price compared to what I found online. I should really use the shopping portal too so that I can rack up even more points. This is great Holly! I have a Southwest Rewards card but no cards that earn Chase Ultimate Rewards yet but this is good to know. I like how you included some of the worst redemption methods because in my opinion, if you’re going to have a rewards card, it’s best to put in the time and effort to use the rewards the best way possible. Only certain cards allow for program transfer benefits. I have a Freedom card which accumulates UR but is not allowed to transfer out to partners. Come in handy my Business Ink Preferred. I do combine my points here and use it as transfer hub to all programs. Get a transfer ready card, and accumulate from all. Great breakdown Holly! We love UR points as well and usually use them for Southwest or Hyatt for travel. We’ve held off on racking up sign-up bonuses for the past year or so with us getting ready to buy a house, so we’re looking forward to get back at it. A really great summary. 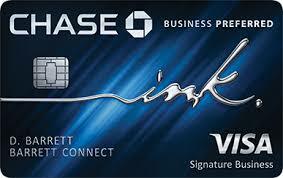 We’re using the Ink card now, to transfer points to United for a flight next summer. For our trip to Asia this winter, we transferred point to BA for some short flights in between countries. The flexibility of the points is pretty much unmatched: so many options. 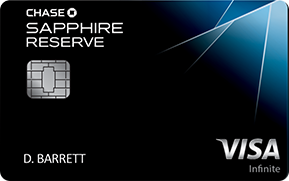 The Chase Sapphire Preferred Card would definitely be my choice if I were to get a second credit card. These Chase points are SO dang valuable. I was upset when Chase wouldn’t let me sign up for the Chase Sapphire Preferred because I had too many cards open within the past 2 years (I swear they may have even said THREE years). My wife opened it, though, and we are stocking up on United miles. I just go the Chase Ink and my wife will eventually get the United card and we’ll have a boatload of miles. Can’t wait! I’m interested, but I don’t think I could spend $4k in 90 days for the one card. Subtracting the mortgage, I spend less than $1k per month on everything else. Would’ve been a good one to snag before christmas. I’m curious what other good options there are for people that spend little like me, I’ve never churned Credit Cards before. Just a question re the Southwest cards: I’m waiting for the 50,000 pt. sign up bonus. If that happens and I get the card, I know I’ll have to pay the $99 annual fee for the first year. After the bonus pts. are in my Rapid Rewards account, can I cancel the card and not lose the points? Even though they give you 6,000 pts on your anniversary date, I don’t want to keep paying the $99 fee. If my husband also gets a card, that would give us 100,000 RR points to use–would probably take us a couple years to go through those. I think I’d be able to sign up for another card at that time–if they’re offering the bonus pts. again, of course. Yes, you can cancel. Once your Southwest points are in your Southwest account, they are beyond the control and scope of your credit card – they are yours and cannot be taken away. Southwest miles do expire every 18 months with no activity though, but you can keep them active by doing a little shopping through the Southwest shopping portal – you don’t even need the credit card to do that. With that being said, do you have the Chase Sapphire Preferred already? As I’m sure you know, Chase points transfer to Southwest 1:1! No, not yet. We both just did the Chase Freedom for $300 in cc credit. I did a USAA Mastercard for $200 credit; and we did the Citi Premier last December for $530 in travel credit. We also opened a checking acct. at Chase for $250 signing bonus. Second time we did that–first time was $200 and we closed acct. after 6 months. Will do the same with this one in the event we get another offer in year or two. It’s tough to spend $3,000 in 3 months on cc’s for us–no kids at home anymore and DH works for different caterers and brings home all sorts of free food–so much that we are constantly giving much of it to our neighbors. They love us! So, like I did with the Citi Premier last year, we would use the two Southwest cards to pay our property taxes (@ $3,000 year). If they aren’t offering the 50,000 bonus at that time, we will then do the Chase Preferred. Thanks, again, for all your help! Do you know when the Chase UR points came into existence? Is there a history or it just popped up in 2010 or something? Thanks. Been an AMEX rewards user for more than 10 years now. Been happy with them as well but I do like the Hyatt Redemption that you mentioned here a lot. We used the Hyatt Hotels for almost 75% of our travels and being a Chicagoan, we’ve used Southwest Airlines many times for our domestic travels. Just wondering how easy it is to transfer those reward points to these two. Can I easily do it through the Chase portal? Many thanks. We transfer to Southwest and Hyatt regularly. It is super easy. You do it online via the Chase Ultimate Rewards website, and the transfers are nearly instant. In order to transfer UR points do you need to have a Southwest CC , or just their FF card? Same question for Hyatt? Thank you. I love Chase Ultimate Rewards. I use them ALL the time when traveling around the world. I learned a couple new tips – so thanks. You note that when you use the Chase Reserve Portal that “When you use the Reserve version of the card, however, you get 50 percent off the travel you book”. How is the 50% off seen? I’ve used the site with my reserve card previously and didn’t see a discount. You get 50% MORE TRAVEL for your points with the CSR. However, you will only see CSR prices when you log into your account and search for travel. 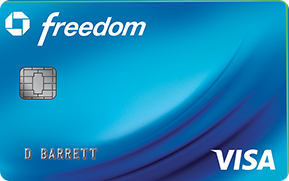 You would see higher prices if you logged in with a different card like the Chase Freedom. Hod to redeem points for a gift card? I don’t travel any more so just want a gift card.